Summer drinks. When I have fresh fruit and herbs, I make a plethora of simple syrups and shrubs for mixing. 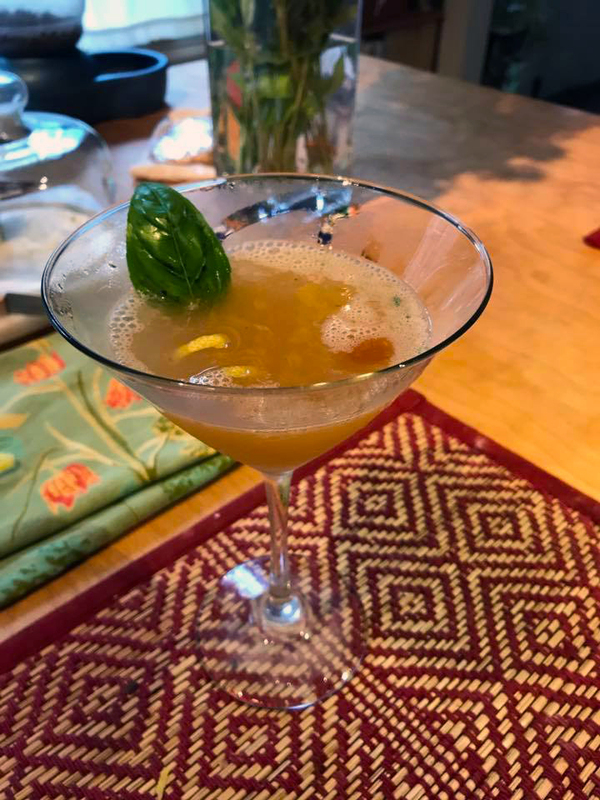 Inspired by a local bar, I’ve been working on a grapefruit & basil cocktail, which finally seems to be ready to share. This recipe is for two drinks. It would scale up pretty easily, assuming you have something big enough to make it in. In the bottom of a cocktail shaker, muddle the basil, lime leaf, and salt until the leaves have expressed their oils. Add in the simple syrup, vodka, and grapefruit juice, then add ice to the shaker and shake until well chilled. Rinse two martini glasses with a splash of bitters. Pour out the cocktail, garnish with a twist of lemon and a fresh basil leaf. Makes two. Add all ingredients to a pot, bring to a boil, reduce heat, and simmer over low heat until the syrup thickens slightly, approximately 40 minutes. Cool, then jar. It will keep in the fridge for several weeks.